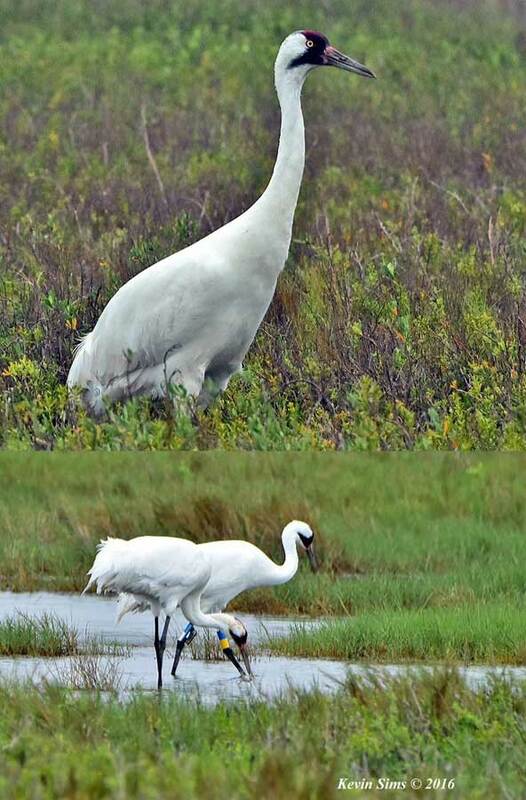 In late November, Friends of the Wild Whoopers’ (FOTWW) roving reporter, Kevin Sims sent us photos showing a young whooping crane colt and its parents soon after they arrived on Aransas National Wildlife Refuge, (ANWR). They had just completed migrating 2,500 miles from Wood Buffalo National Park, (WBNP) Canada. Even though Kevin didn’t know the gender of this colt, he affectionately named it Junior. Kevin has been able to watch Junior throughout the winter as he matured and learned all the necessary skills to survive in the wild. Some of the wild flock has begun their 2,500 mile migration back to the nesting grounds at WBNP and soon the rest will follow. Kevin sent us a couple photos of Junior showing how he has grown and matured throughout the winter. In November, his parents would catch blue crabs for him, but now, he is able to catch his own. His parents have taught him well and hopefully, we’ll see Junior back at ANWR next fall. They grow up so fast! Friends Of The Wild Whoopers thanks Kevin for the “Then” and “Now” photos and we hope you enjoy them. We have. CORPUS CHRISTI – August arrived with a welcome companion — a morning of summer rain. Water has been on the collective South Texas mind, with city restrictions going into effect as landscapes look increasingly parched. 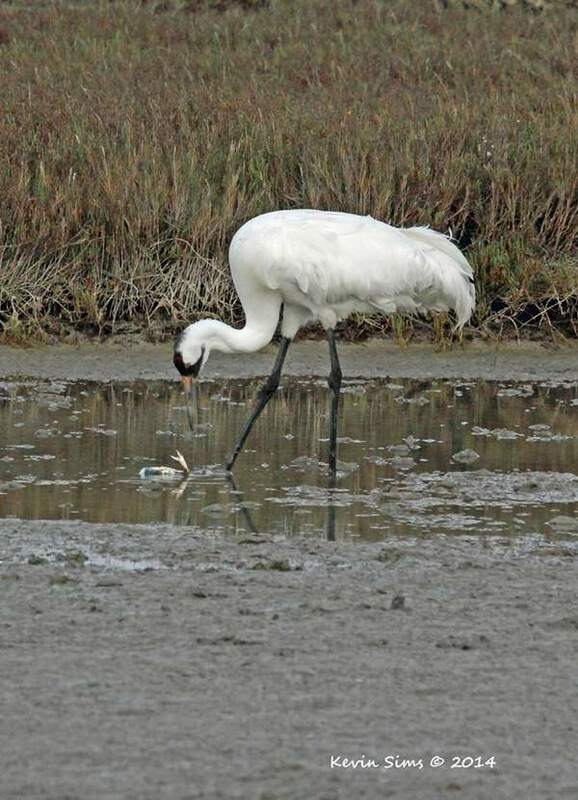 Water woes also affect the many species of birds that spend all or part of their year living on the Texas coast, including our famous winter visitors — whooping cranes. Stehn’s editorial discussing the recent ruling of the Fifth Circuit Court of Appeals appeared July 3 in the Caller-Times. The court overturned an earlier ruling holding the state liable for whooper deaths during the winter of 2008-09. Responsible water management is at the heart of the issue. When salinity rises in bays and estuaries, the availability of the food and water resources the cranes depend on is diminished. Combined with challenges posed by additional habitat and environmental changes, the whooping crane’s inspiring return from the brink of extinction could face undesired setbacks. What can you do to ensure that your grandchildren, and theirs, will have a chance one distant winter to see these stately and magnificent birds? Not in a zoo, but wading Texas coastal ponds, feasting on blue crab and wolfberry? Do your homework, and speak up about what you learn. The International Crane Foundation and The Aransas Project are excellent resources. Volunteer to educate others. Donate time or money. Most of all, be conscious of water usage; treat it like the precious and finite resource that it is. Replace a section of lawn with a xeriscape garden featuring plants that attract butterflies and birds. Fix a leaky faucet; install a drip irrigation system; turn off the tap when you brush your teeth. Make water conservation a habit for the present and the future. The Hawk Watch got an early start this season, as watchers began manning the platform Friday at Hazel Bazemore Park. Swallow-tailed kites usually are seen early in the season, and there are hopes for a record year for this species. Considered one of the most thrilling sights of birding, I’ll visit as often as possible to search the sky for this exquisitely graceful raptor. Slender Mississippi kites, tastefully colored in understated gray, have been reported over the prairies of Lavaca County and can be expected to pass through in greater numbers soon. Liz Smith, International Crane Foundation wrote a powerful article “Forum: Fate of the whooping crane falls into hands of the state …”. The article is in “Caller-Times” and Friends of the Wild Whoopers (FOTWW) received permission to place it on our web site for your convenience. 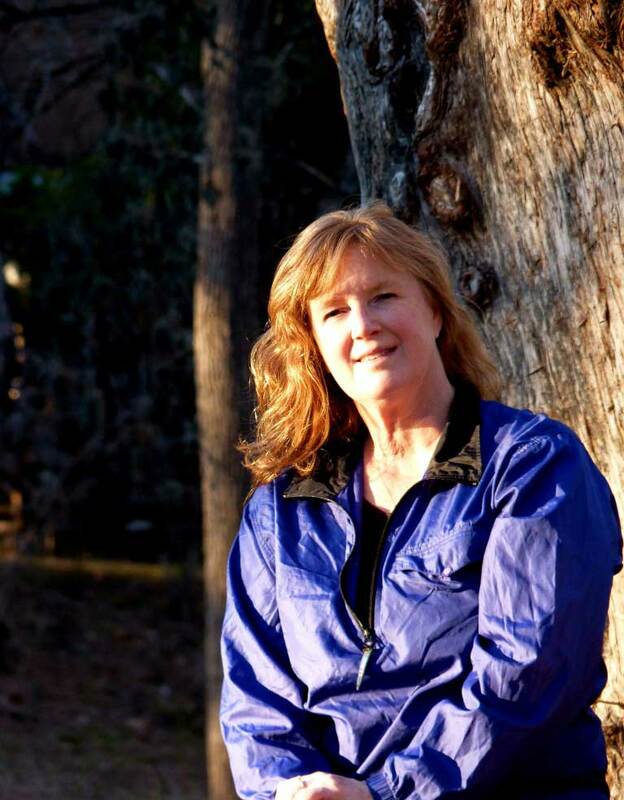 FOTWW would like to commend Liz Smith, a whooping crane conservation biologist with the International Crane Foundation, on her excellent editorial in today’s Caller.com. We agree 100% with Liz when she states that the “Fate of the whooping crane falls into the hands of the state”. Liz also writes, “As a coastal scientist working with other professionals to deliver scientifically sound information to guide environmental decisions, I will continue to increase awareness that our system is at a tipping point. It is up to the citizens of Texas to ensure we don’t lose this coastal treasure. FOTWW agrees, it is up to us, concerned citizens and lovers of these magnificent whooping cranes to keep this initiative at the forefront. Texas citizens, please write to your elected officials. Write op-eds or letters to the editors of newspapers in Texas. Let’s keep this in the forefront and be the voices of those who cannot speak for themselves, our beloved whooping cranes. Below is Liz’s article as posted on Caller.com. 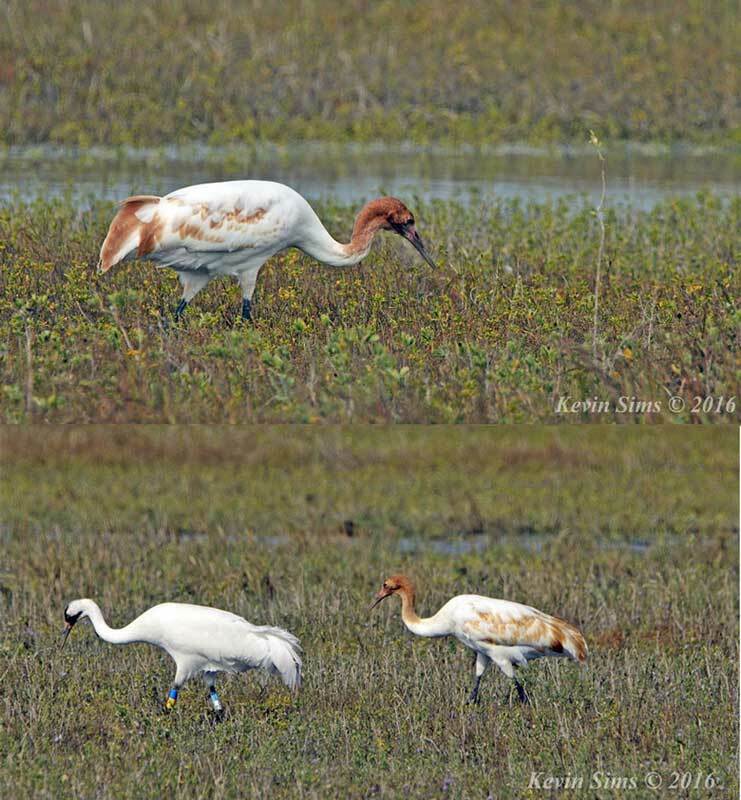 The recent ruling by the Fifth Circuit Court of Appeals does not hold the state of Texas responsible for the fate of whooping cranes in the San Antonio Bay system. As Texans, we should insist that the state take that responsibility seriously. The future of our bays and estuaries hinges on responsible water management that values life and all water users throughout the river basin. This places a huge responsibility on maintaining that estuarine system, not only for whooping cranes, but for the bounty of recreational fisheries, tourism and coastal enterprise it sustains. The International Crane Foundation is one of the many organizations seriously concerned about the mismanagement of fresh water flowing into our coastal systems. We continue to work with all interested partners to find alternatives and viable solutions in our world of finite water availability, especially during drought conditions. Our efforts will not save our bays and estuaries, however, unless the state of Texas recognizes that the ultimate leadership on water management must come from the state. As a coastal scientist working with other professionals to deliver scientifically sound information to guide environmental decisions, I will continue to increase awareness that our system is at a tipping point. It is up to the citizens of Texas to ensure we don’t lose this coastal treasure. Please let your representatives know that we need a change of attitude about water. Let’s keep this initiative at the forefront of our efforts to save our beautiful Texas coast for future Texans. 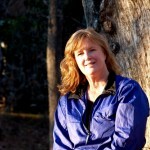 Elizabeth H. Smith, Ph.D. is a whooping crane conservation biologist with the International Crane Foundation.